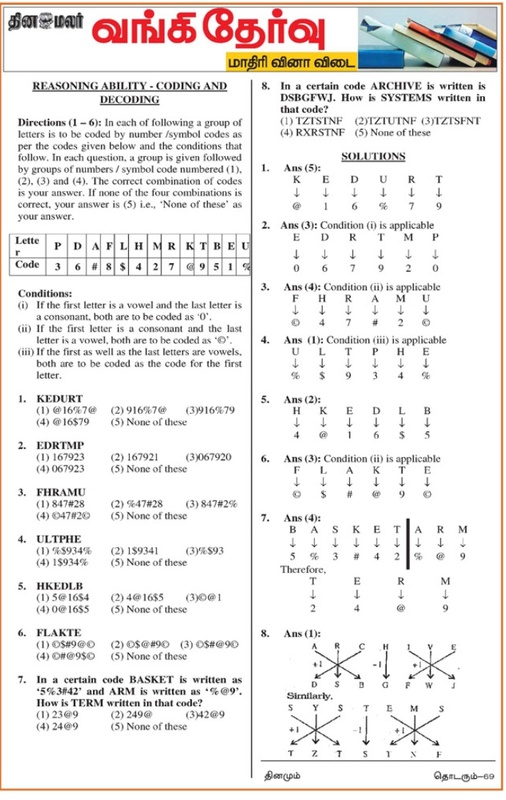 Daily Bank Exam Questions Answers in PDF format in various subjects. Banking Exam Question Papers with Answers. Dinamalar Tamil Daily Providing Daily Model Questions Answers for SBI / IBPS Clerk, PO, Specialist Officers Examinations.